Gov. 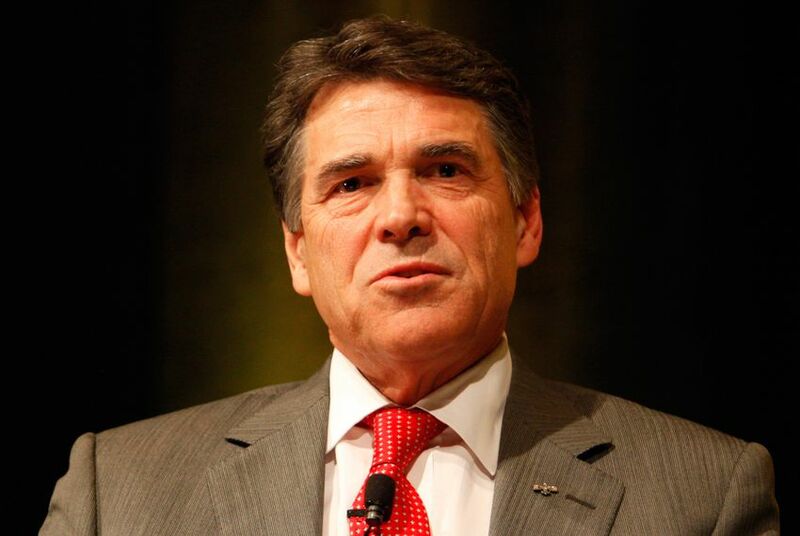 Rick Perry on Tuesday voiced his support for revamping the state's newly implemented student assessment system. "Without accepting anything less from our schools, we can debate the best way to measure their performance," he said Tuesday, addressing a gathering of business leaders at an education policy summit in Austin. "I support recent efforts to evaluate our testing methods, to help determine the best mix of STAAR testing for students." Students began taking the new state standardized exams last spring as the state transitioned to a new assessment system. Since then — amid confusion from school districts on how to implement many of the new requirements and concern from parents about the exams' effect on classroom instruction — momentum at the Legislature has grown to scale back state-required testing. Current legislation from education leaders in the House and Senate would significantly reduce the number of tests high school students must take to graduate, as well as shift the state to an A through F accountability system. The remarks are the first time the governor has publicly declared his position on the state's student testing system, though he has previously called for the repeal of a rule tying high school students' performance on state exams to their final grades. Former state Rep. Rob Eissler, R-The Woodlands, attempted to address many of the current issues in the student testing system during the last legislative session, but despite widespread support in the House, his legislation failed to gain traction because of opposition in the upper chamber. Speaking at a Texas Business Leadership Council luncheon, the governor also came out in favor of an accountability system that would assign schools an A through F grade, a proposal Texas Education Agency Commissioner Michael Williams supports. He said such a change would "enhance the abilities of parents to evaluate the best schools for their children, part of an overall effort to expand opportunities for every child." Perry also renewed his call for the expansion of charter schools in the state and for scholarship programs that give students in failing schools "a true choice" in their education. "Different children learn with different goals in mind, and leashing them to a 'one-size-fits-all' system does both them, and their communities, a disservice," he said. As part of his comprehensive efforts to pass school choice reform this session, Sen. Dan Patrick, the chairman of the Education Committee, has filed legislation that would lift the state's cap on charter school contracts and create a new entity to oversee the application process. The Houston Republican has also proposed offering businesses a tax credit in exchange for donations to a scholarship program that would allow them to attend schools of their choice, including those in the private sector. At a media conference with Lt. Gov. David Dewhurst in December, Patrick announced his intention to file such legislation at an Austin Catholic school. He has yet to file the bill since the legislative session began this January.